The Dahboard gives an overview of the executed Jobs. 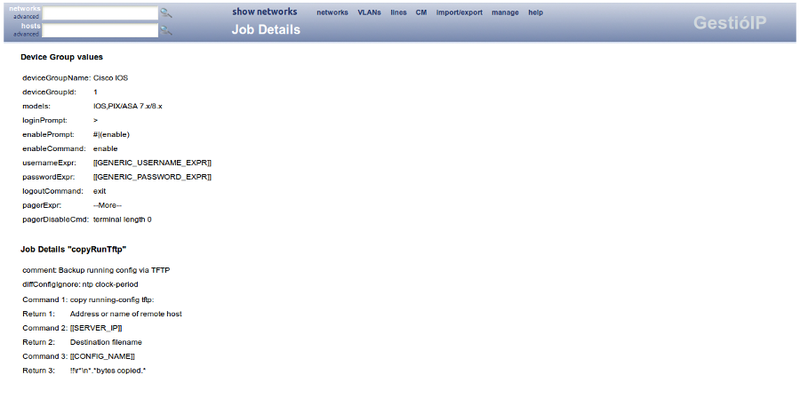 It allowes to access directly to the devices Job execution logs as well as the devices Job-Management-Page. 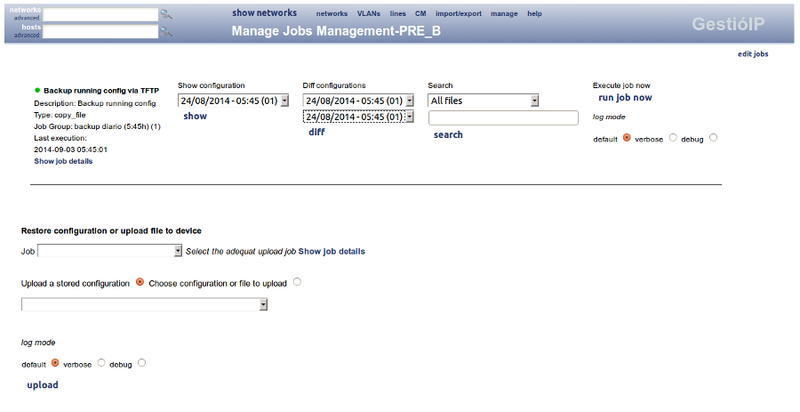 The Job-Management-Page offers direct access to device's backuped configurations, to diff configurations, to search through all or a particular configuration or to show the last job execution log file. 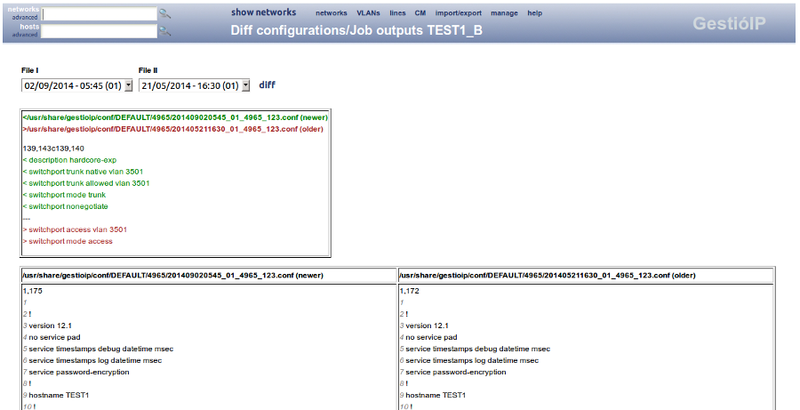 It furthermore offers the possibility to restore configurations and to execute Jobs manually. 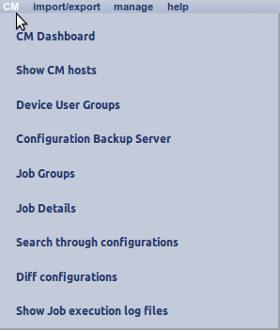 The Configuration Backup and Management Module creates the new top menu item "CM" which allows to access easily to the CM configuration.